Ayusa reached out to two veteran host families about why they choose to continue to host students year after year. The Coutu family has hosted 45 students and have already signed up to host their 46th. 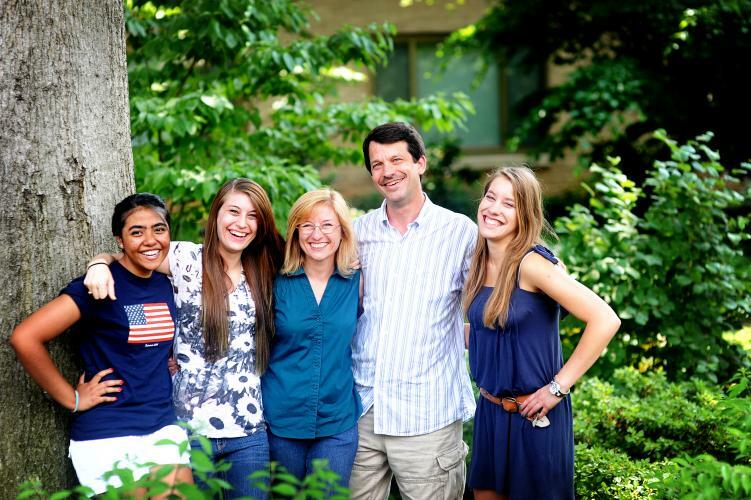 The Estes family has hosted several students over the years from around the globe. Here are four reasons why they say you should open your home and heart again to another high school exchange student. It is never goodbye.If you decide to a host another student, it should never feel like you are moving away from your last wonderful experience. The Coutu family loves how social media and apps have only expanded how much they can stay in touch with their students once they return home. “Yara put What’s App on John’s phone so she could call him or text him for free. She went home and gave me a tour of her house by her phone while speaking with us. We saw one of the wind chimes swaying in the breeze on the patio that she had purchased here to take home.” When the Estes family had the opportunity to travel to Europe for a band competition, their daughter was the only one with Dutch sisters in the audience cheering her on! Don’t limit your opportunities to have extended family around the world by hosting one student. Learning more about a different culture or region. Starting a ripple and being part of a transformation in a young person’s life.